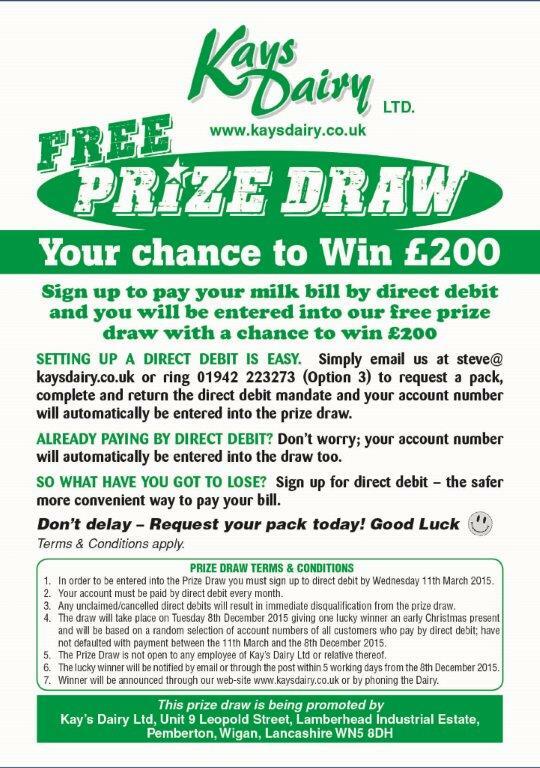 Some competitions will involve valuable prizes, cash and of course our quality Kay’s Dairy products. The whole family – including kids and grandparents – can get involved and have fun. Please also go to our Facebook page at www.Facebook.com/KaysDairyLtd and ‘Like’ our page to be kept informed of all our Facebook competitions, offers and deals. 2015 Free Prize Draw – Your Chance to Win £200! 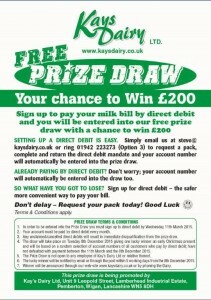 Sign up to pay your bill by Direct Debit and you will be entered into our free prize draw with the chance to win £200!! Click on the image below to see full competition details.